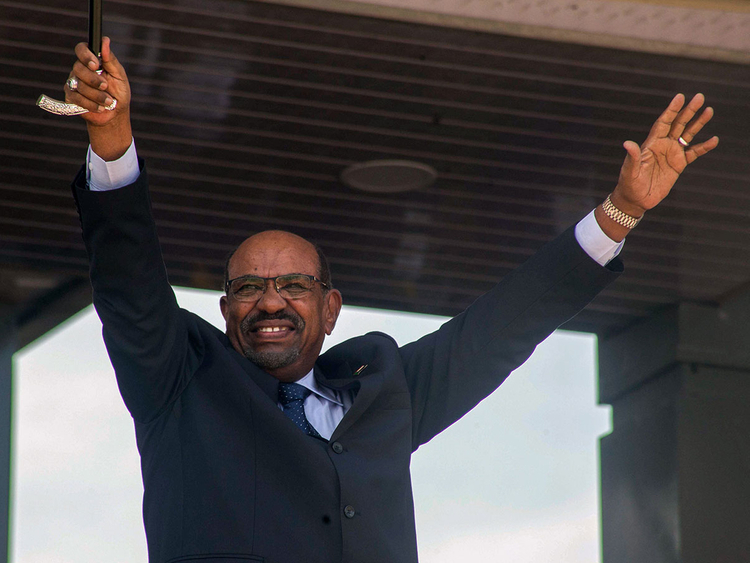 Khartoum: Almost 300 Sudanese lawmakers backed a proposal to abolish presidential term limits and let the North African nation’s long-time ruler, Omar Al Bashir, seek reelection in 2020. The parliamentarians have submitted a suggestion for the constitutional amendment to the speaker of the assembly, ruling party representative Abdul Rahman Mohammad Ali told reporters Tuesday. He described Al Bashir, 74, as the only person able to stabilise the country, historically wracked by insurgencies and currently mired in an economic crisis. Al Bashir, who took power in a 1989 military coup, is in his second term under a new constitution promulgated in 2005, and his election victories in 2010 and 2015 were disputed by the opposition. Any amendment would need a parliamentary debate and potentially a vote. The proposal is supported by 294 of Sudan’s 490 lawmakers, including the ruling National Congress Party and some smaller groups.